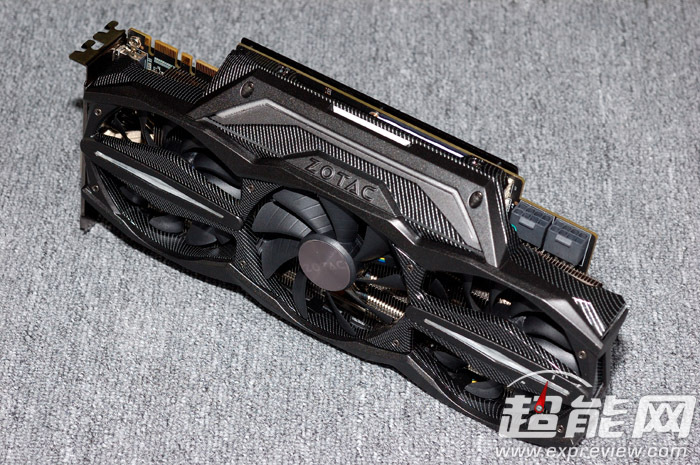 Today we take a look at Zotac’s fastest and certainly most impressive GTX 980 they have to offer courtesy of expreview.com. 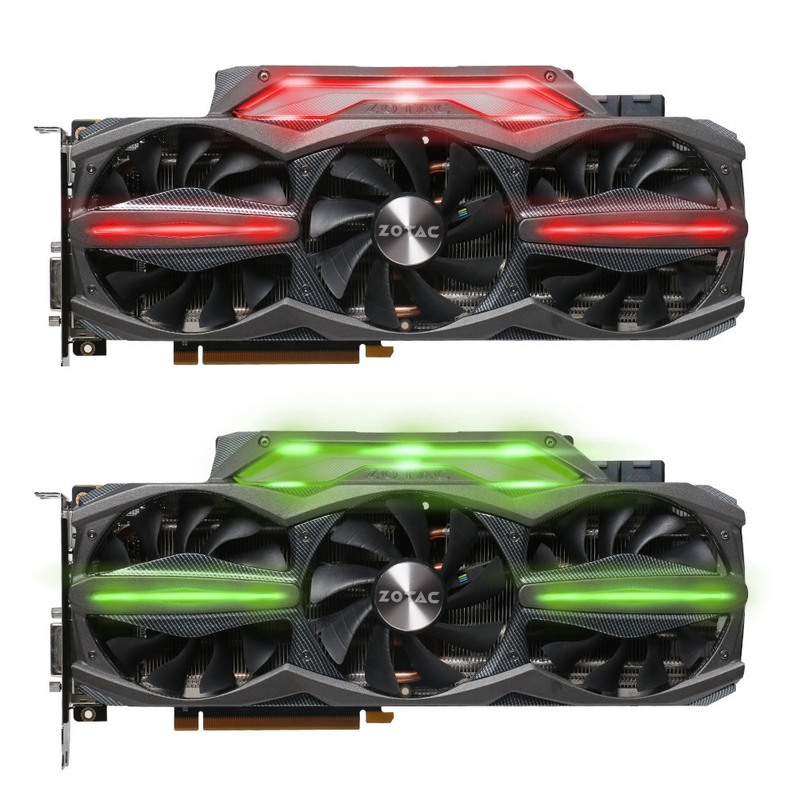 The Zotac GTX 980 AMP! Extreme. 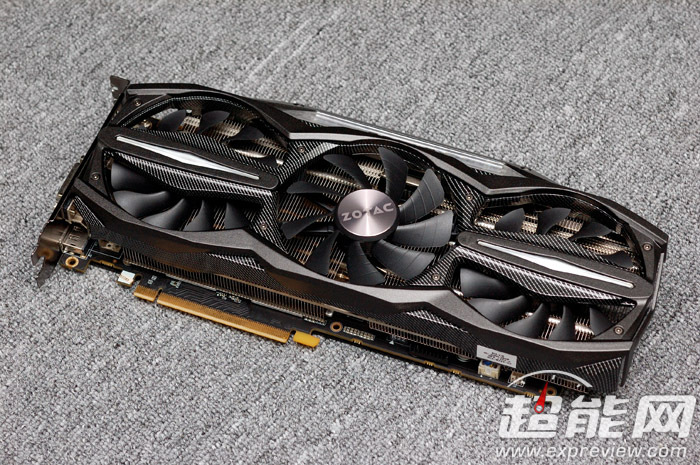 Running at a base clock of 1293 and boosting all the way up to 1393 makes this one of the fastest GTX 980s out there. The cooling shroud takes on a very sleek looking Carbon Fiber inspired look that looks brilliant with the onboard LED lighting. Which mixes really well with the charcoal gray color of the shroud giving the card a very aggressive look. It’s not just about clock speeds either because Zotac equipped this card with a massive cooler. Featuring a high density heatsink fin stack, 5 large heatpipes and three large axial fans. This beast of a cooler from Zotac will take up three PCIE slots. 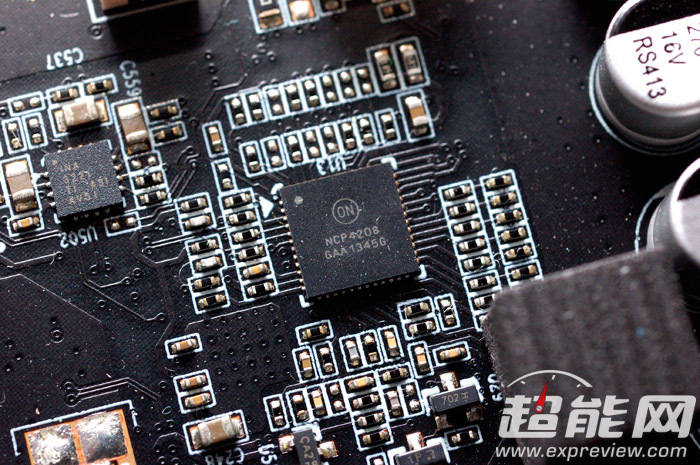 The specifications for the card are as follows : 4GB / 256bit GDDR5 memory, core / Boost / memory frequencies of 1291/1393 / 7200MHz, 1x DVI, 1X HDMI and 3x full size DP interfaces. 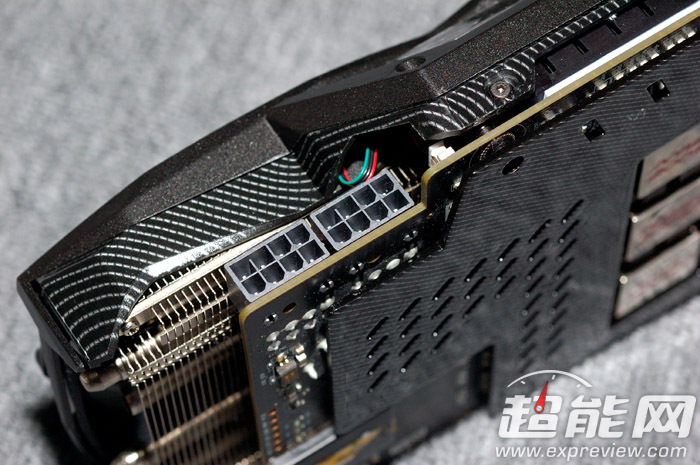 The card is equipped with two 8 pin PCIE power connectors and a carbonfiber-like textured backplate which covers most of the components on the back of the PCB. In this photo we can take a better look at what the back of the card looks like. 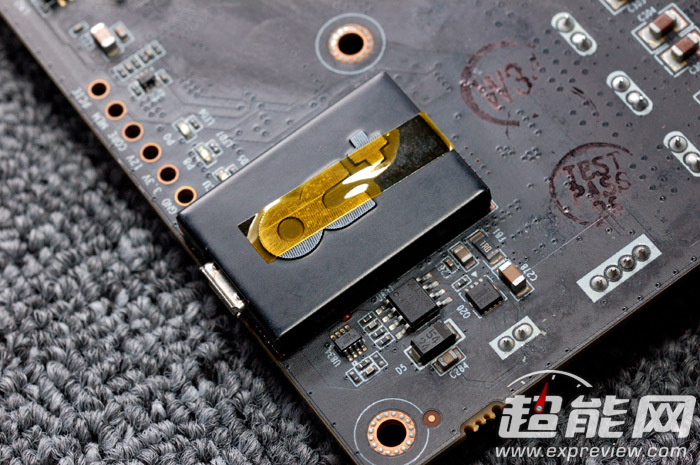 You can also see the power boost decoupling capacitors and the Zotac OC+ overclocking module. 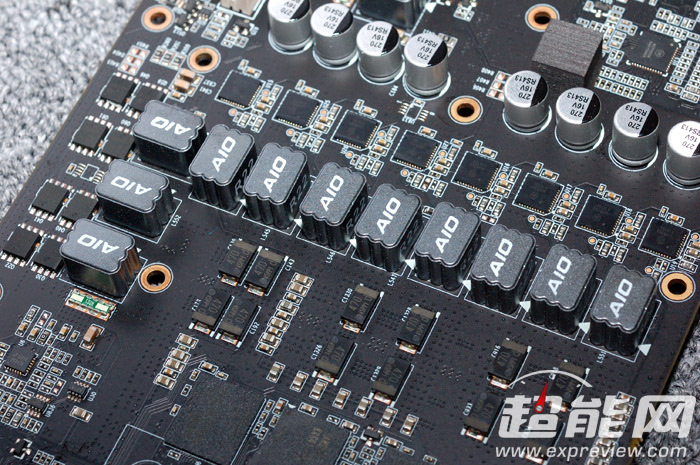 The card has 8+2 power deliver phases and seven individual heatsinks which are responsible for the cooling the VRMs. With such an over-engineered card we’re excited to see how far overclockers are able to push it. 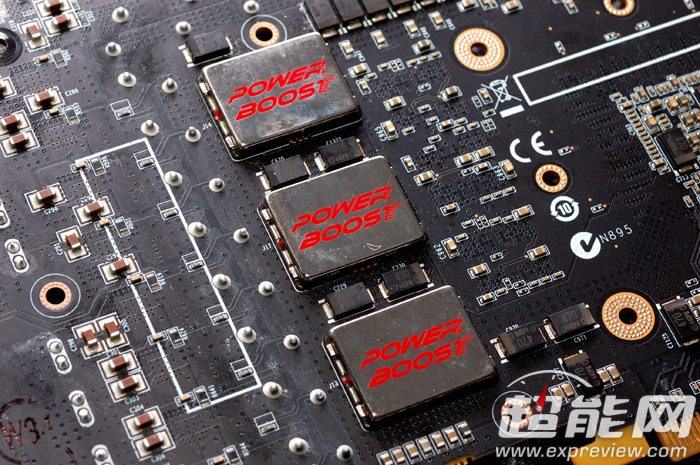 With ample power coming from the dual 8-pin PCIE connectors going through the custom designed power delivery of the card. 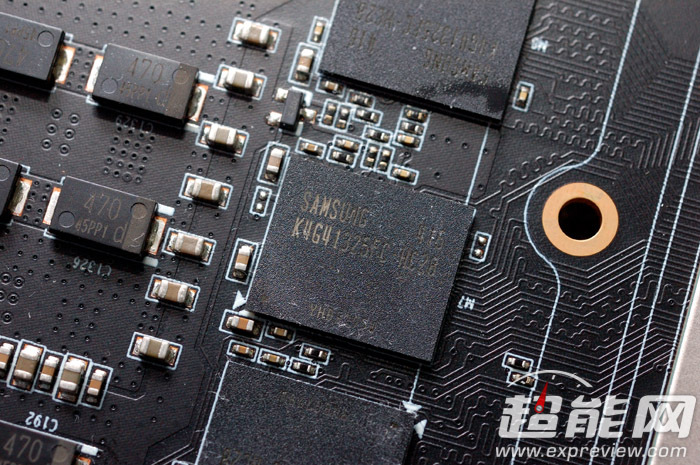 In addition to the massive cooler and OC+ module we’d be surprised if this card hits anything below 1.5Ghz+ . The Zotac AMP! Extreme is a great card in its own right ticking all the enthusiast boxes. Perhaps it would be even more exciting to see how well this card overclocks under water with a custom designed waterblock. And then how far pro overclockers can push it under LN2. 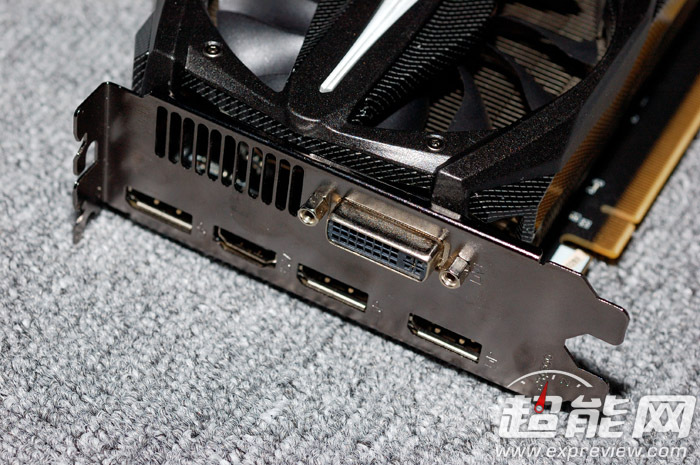 Maybe, just maybe we’re looking at the new top dog GTX 980 here.